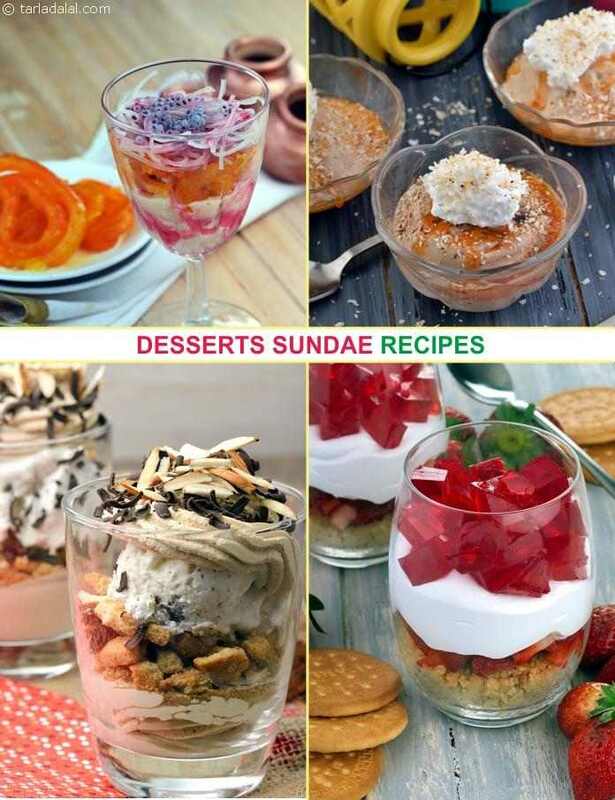 Sundaes are layered desserts made with fruits, sauces and ice cream, served in glasses. Usually transparent glasses are used, so you can see all the yummy stuff that is there in the sundae. Pamper yourself with treats like the Quick Strawberry and Chocolate Sundae , Brownie Sundae , and Banana and Strawberry Bonanza . A parfait is a kind of dessert that is usually served in a glass with many layers of interesting stuff ranging from nuts and fruits to jelly and biscuits, drowned in some kind of syrup or creamy topping. Here is a very aesthetic Coffee and Biscuit Parfait, which will be loved by kids and adults alike. Sweet made from cheese and khoya.